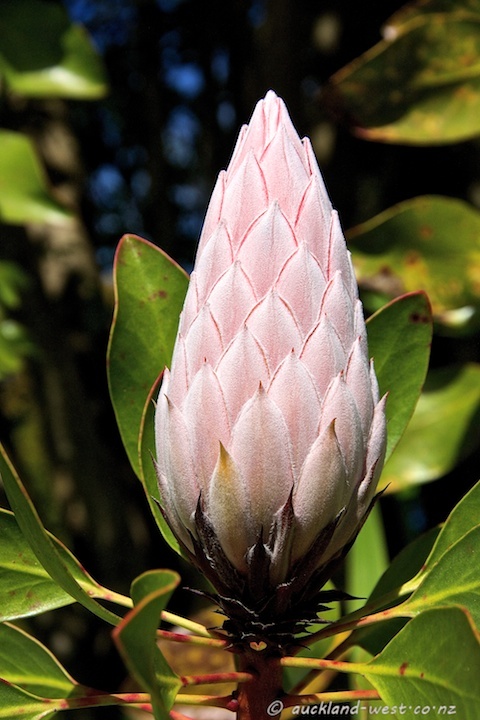 Proteas are natives of South Africa, but they also grow well in New Zealand and are popular in Auckland gardens. The King Protea (protea cynaroides) is the most showy variety in my opinion; shown here as a bud, before unfolding its full glory. very nice! one of my favourite flowers. This shot nicely captures the furry texture.